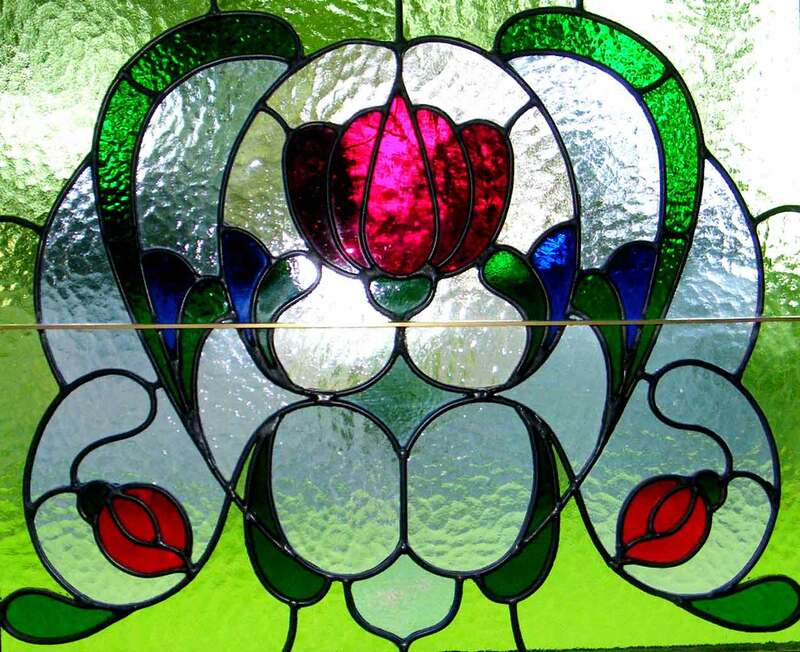 Custom made Traditional & Contemporary Stained Glass Windows & Door Panels using heritage skills by a craftsman using art glass, etched glass and painted glass, giving you a personal and reliable service. For your new home, your renovation or for that special place in your home, I can design a superb stained glass panel for you, work to your design or restore your existing stained glass to original condition. My studio is in Inverell Northern NSW and, as always, you are welcome to drop in for a chat or just to have a look at how Stained Glass panels are made. About the panel below; In 1992 I was commissioned by the Wicklow Hotel in Armidale to provide transom panels for their entry doors. I use the finished design for my logo as it is a fine example of Stained Glass art.